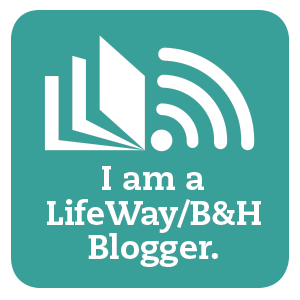 I promised myself that I would not read or think about anything to do with homeschool or learning disabilities until after my father-in-law visits at the end of this month. That gives me at least 3 weeks of relaxing and enjoying the summer :-) However, I have had a pile of library books for a few months now, renewed a few times over, which are due back today. 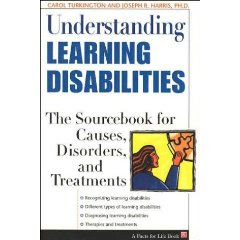 One of which, Understanding Learning Disabilities; The Sourcebook for Causes, Disorders, and Treatments by Carol Turkington and Joseph R. Harris, PH.D. , had an earmark in it. A flag to myself that I need to take notes on something before I return it. So I am stepping out of my just relax mode for an hour or so because this information is too important not to share! What I want to talk about today is beyond the A-Typical associations we make with the gift of ADHD and yet is, in fact, a derivative of these traits. One behavior I often see in Ash, and one that Turkington and Harris have researched and studied with ADHD, is Perfectionism. The first time I heard this term in relation to ADHD I thought, ' Yea, right, she is always making mistakes and messes and debacles of all types!' Nevertheless, when I stepped back and truly analyzed perfectionism and my daughter, I quickly found that it was a huge factor in her behavior. A perfectionist works diligently towards perfection; it doesn't always mean they achieve it. Once I understood this, I could see that Ash would work towards perfection but her downfall was her inability to focus, take her time, and be patient for the end result. This often produces failed attempts and a discouraged, defeated attitude. I also began to analyze the time back in her public school days. This is a place where demands are high for the exact right answer or picture or project that looks like everyone else’s and is done in the allotted (small) amount of time. Pay attention, listen to directions, do what you are told now... all these commands are a death sentenced to an ADHD child's ability to keep up. Turkington and Harris's assessments reinforce the fact that an unfocused child is set up for a defeated scenario. They observe that perfectionism [in an ADHD child] may happen because of lack of understanding of "the nature of a task's requirements". In cognitive oriented therapies, the objective is typically to identify and monitor thoughts, assumptions, beliefs and behaviors that are related and accompanied to debilitating negative emotions and to identify those which are dysfunctional, inaccurate, or simply unhelpful. This is done in an effort to replace or transcend them with more realistic and useful ones. Hmmm... I like that idea much better than the drugs the school counselor animately and obtrusively persisted my daughter take! I have tried this type of therapy with Ash in the context of impulsiveness (a key trait in ADHD) especially where it resulted in squabbles with others. I used the "K.I.T.E." system, which I discovered in a book called, "The Survival Guide for Kids with ADD or ADHD" by John F. Taylor, Ph.D. I elaborate on this technique in Flying the ADHD K.I.T.E. I have also used this approach more loosely to assess perfectionist tendencies. Cognitive behavioral therapy is helpful with self-defeating perfectionism. The success I have seen in my daughter is proof. She has become much less self-critical and more relaxed in her mistakes. Parents, take note that self-discipline on your part is required. We must cue ourselves to not expect too much of a perfectionistic ADHD child. Help them to set and achieve realistic goals. This can be hardest accomplished when your other children do not suffer this problem. Nevertheless, we must realize each child is different and treat them as such. 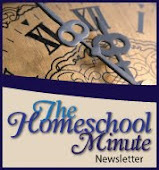 The beauty of homeschool is that we don't have to hold our children to a curve or class standard. One last thought is to share some final observations our authors have made on the negative feelings, thoughts, and beliefs that can be associated with perfectionism (ADHD or otherwise!). These items are great starting points for managing this behavior. All may not apply, but truly consider the ones that do and use them to direct your groundwork and build your child up so he/she can become self-confident and accepting of life's imperfections they cannot control! - fear of failure: Perfectionists often equate failure to achieve their goals with a lack of personal worth or value. - fear of making mistakes: Perfectionists often equate mistakes with failure. In orienting their lives around avoiding mistakes, perfectionists miss opportunities to learn and grow. - fear of disapproval: If they let others see their flaws, perfectionists often fear that they won't be accepted. Trying to be perfect is a way of trying to protect themselves from criticism, rejection, and disapproval. - all-or-nothing thinking: Perfectionists often think they are worthless if their accomplishments are not perfect, and they have trouble putting things in perspective. For example, a straight-A student who gets a "B" might think he is "a total failure." - the "shoulds": The lives of perfectionists are often structured by an endless list of rigid rules about how their lives must be led. With such an overemphasis on "shoulds," perfectionists rarely take into account their own desires. - others' success: Perfectionists tend to perceive others as achieving success with a minimum of effort, few errors, little emotional stress, and maximum self-confidence, whereas their own efforts are inadequate. "Perfectionists are often trapped in a vicious cycle in which they set unreachable goals and then fail to meet them because the goals were impossible to begin with.... The constant pressure to achieve perfection and the inevitable chronic failure lessen productivity and effectiveness. As perfectionists become more self-critical, their self-esteem suffers, which may also lead to anxiety and depression. At this point perfectionists may give up completely on their goals and set different unrealistic goals, but this thinking sets the entire cycle in motion again."